Ear plugs can be beneficial to your safety and productivity while working in a variety of environments. Without proper protection, your ears may suffer permanent auditory damage that can limit your work capabilities, making the proper pair of ear plugs indispensable. To help you avoid such harm, Enviro carries a wide array of in-ear hearing protection products to suit many different job atmospheres, all available at the lowest price points. We also stock a full line of ear muffs and safety glasses. What Are the Main Types of Ear Plugs? Foam : Featuring malleable material that molds to the shape of the user’s ear, these ear plugs are distinguished by their foam composition that expands to seal out loud noises. 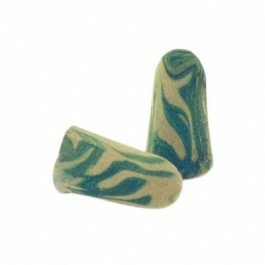 Silicone: Unlike foam earplugs, this variety is crafted to rest near the ear canal opening, rather than within it. Each pair is custom-molded to ensure a sound-proof barrier. Flanged: Often used amongst musicians for their ability to muffle loud sounds without drowning out treble and bass nuances, these ear plugs allow users to hear a limited range of noises. How Do Ear Plugs Differ? The main distinguishing features between earplug models and manufacturers are design and durability. Because many workers require some sound transmission on the job, not all ear plugs are engineered to completely drown out all noises. Many varieties block out loud sounds while still allowing the user to hear some audio. Design differences between earplugs may include such elements as corded or uncorded alternatives, which give the wearer a lightweight option. For a more secure fit, some ear plugs feature sturdy hearing bands that rest above the neck to prevent the product from falling out. 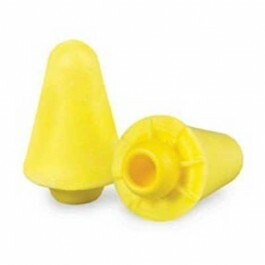 Ear plugs also differ in terms of their wear-time or durability. The longevity of your earplugs is based most significantly on the quality of the material of which they are constructed. For instance, silicone ear plugs tend to withstand more wear-and-tear than foam varieties. As previously mentioned, fit and form also vary from each pair of ear plugs. Some are manufactured with the capability to mold to your unique ear shape, while others feature a less malleable form that rests securely within the ear. Which earplugs you choose depends on how mobile and active you are in your work environment. Does the Design of The Earplug Matter? Regardless of design, every pair of ear plugs limits the intensity of the sounds that surround you. However, some earplugs are intentionally engineered to let in more noise than others, so this quality must be considered when making a purchase. For example, some earplugs offer a soft and comfortable fit at the expense of serving as a complete sound barrier. Design also impacts where the plug rests in the ear. 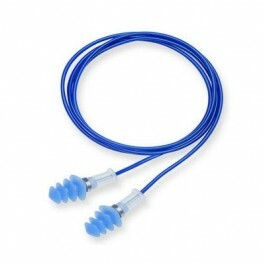 Push-in earplugs are more easily inserted into the ear canal than foam versions, which feature cushion-like materials. Consequently, each model reduces external volume in different ways. Ultimately, your ear plug’s design determines the most crucial functions of the device, from how it is worn to how well it barricades sound to how long it lasts. How Do I Use Earplugs? Although seemingly simple in appearance, your ear plugs may require you to review the proper steps for insertion before they are used. Improper application of earplugs can cause discomfort as well as inadequate hearing protection. While all earplugs are different, most can be worn using the following procedure, known as the roll, pull and hold method. Using your thumb and index finger, roll the entire earplug so that it slowly becomes smaller and more compact. Then, locate your ear canal by tugging on your ear lobe. Finally, simply insert the plug within the ear canal and allow the device approximately 20 seconds to properly mold to your unique shape. Most in-ear protection can be worn using this technique; however some earplugs feature a tapered form, making the application process more streamlined. Many of these earplug styles simply require the wearer to push the plug in without any prior handling. How Do I Know Which Ear Plug Is Right for Me? Knowing which earplug will best satisfy your comfort and sound protection needs cannot be determined without testing the product. What constitutes a good ear plug for one person may be entirely different for another. The kind of earplug that works best for a professional musician may not be the same as that for a construction site manager. To find the style that most effectively suits your needs, start by reviewing the distinguishing features of each model and make. Why Might I Want a Metal Detectable Ear Plug? The main purpose of wearing a pair of metal detectable earplugs is to expedite the search process in the event that you misplace your set of plugs. 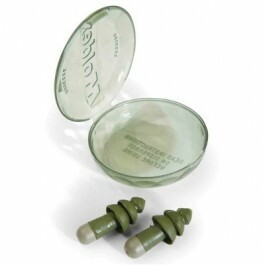 Thanks to unique metals embedded within the interior of the device, these earplugs are easy to find if lost. Such varieties are often used in workplaces that set high safety standards for all employees. When it comes to the benefits of corded versus uncorded earplugs, the pros are purely a matter of personal taste. While many view the thin connecting cord on some varieties to be helpful for keeping both pieces together when not in use, others find the extra part clumsy and hazardous due to its potential to tangle. Corded earplug models do offer the advantage of faster removal, as one tug pulls the devices out the ears. Ultimately, your work atmosphere and personal preferences will determine the style that’s best suited for you. Both reusable and disposable ear plugs feature advantages and disadvantages for certain workplaces and workers. Reusable varieties often make more sense financially for users, as they can be worn multiple times before they are no longer effective. While costly, disposable earplugs offer the hygienic feature of single-use wear. 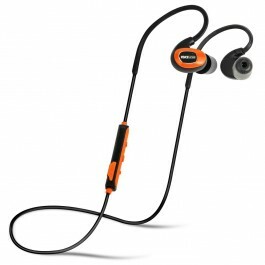 Despite these differences, both models are available with comparable sound protection. If neither of these options fulfills your hearing coverage needs, bigger guarding, in the form of ear muffs or Peltor headsets, may be a successful alternative.